The world today has developed into a disposable society. If a product no longer works or if it causes damage to a person or other object, people tend to just throw it away. While that gets rid of the defective product, it doesn’t replace or repair the damage that was caused or hold people and companies responsible for their roles in the creation and distribution of a faulty product. Every product has an expected time period when it should be safe and working. An experienced Boise product liability attorney can help you understand that there are risks in not holding manufacturers and companies responsible when their products cause injury and sickness. When companies aren’t held liable for their faulty materials, production, or marketing methods, they continue to produce harmful products, and the products continue to cause harm. Because these types of cases can be complicated and vary a great deal, a description of product liability and its elements is neither short nor simple. Basically, there are three possible scenarios in a product liability case when design defects, manufacturing defects, or marketing defects are involved. What this means is that companies have a responsibility to consumers to make sure that all of the elements of their product result in safe use for the consumer. They also need to be truthful about what the product can do and what the consumer can reasonably expect. This is intended to provide guidelines that consumers can trust, as well as to prevent companies from advertising, for example, that a strap can hold 500 pounds of dead weight when it can only hold fifty. When the strap breaks because it was overloaded and a consumer is then injured or property damaged, the company may find itself involved in a product liability suit and responsible for those injuries and damages simply for making false or uninformed claims. There are federal laws that govern product liability, but the states can also make their own laws and amendments. Idaho has some specific definitions and timelines in place when it comes to product liability, commonly referred to as the product’s “useful safe life.” These guidelines are used to set limits for how long a product should be considered useful. Unless otherwise specified by the manufacturer, Idaho law considers the useful safe life to be ten years from the date of receipt. However, there are certain exceptions. For instance, if the product had a flaw that would not be noticed through average use by an average person of average intelligence within ten years, it may still qualify for a product liability suit. Likewise if the damage caused was not noticeable within ten years. Most injury cases come with a statute of limitations which determines how long you have after the incident to file a claim or seek damages. In product liability cases, the consumer has a responsibility to address the issue within a reasonable amount of time. In Idaho, this amount of time is limited to within two years of discovery. This prevents the damages from being overly extreme due to the time waited to address them, rather than the product itself. For example, if the roofing shingles over a porch are faulty, and the owner waits ten years to address the issue, the entire porch might end up being destroyed rather than just a small portion. This greater damage could potentially have been avoided if it had been addressed sooner. Product liability cases can be difficult and complicated because you may have to deal with a team of corporate lawyers, companies, manufacturers, and retailers. The people involved will not have your best interests in mind, but rather, those of the company and the product. 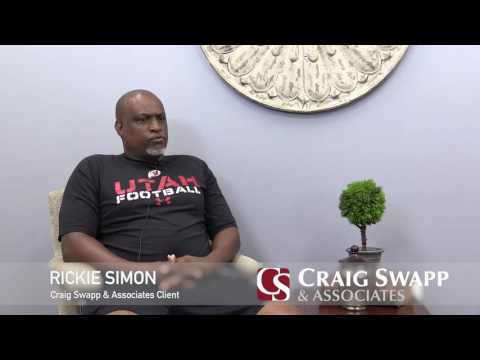 At Craig Swapp & Associates, our experienced Boise product liability attorneys won’t be intimidated or swayed by representatives on the other side. We can help you figure out the best way to move forward and ensure you get the compensation you deserve. If you or someone you know has been injured or become sick because of a product or misinformation that was given by a product manufacturer, you could be entitled to compensation for your injuries. Contact our office online immediately or call (800) 404-9000 for a free consultation so we can help.